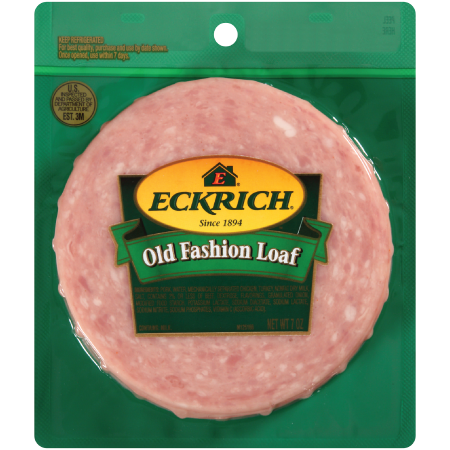 Eckrich Pickle Loaf is a classic lunchmeat. It’s made with high-quality chicken and pork. We also add chopped pickles and our signature blend of seasonings. 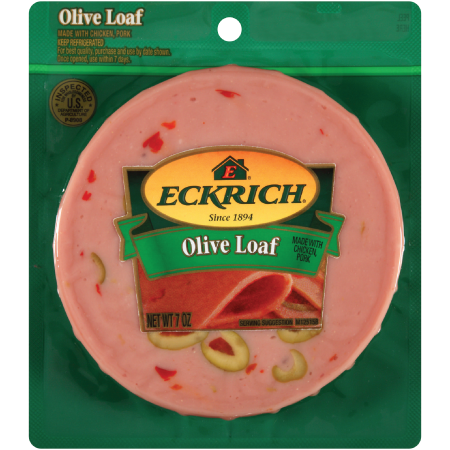 Eckrich is proud to make all of our lunch meat without by-products or artificial flavors or colors. It’s also gluten free and soy free. 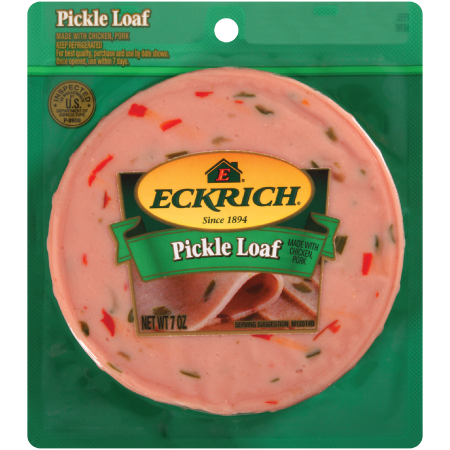 Is pickle loaf a nostalgic flavor from your childhood? Take a bite–and tasty step back in time. 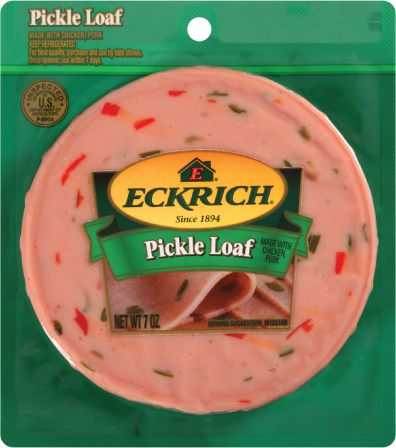 Ingredients: MECHANICALLY SEPARATED CHICKEN, PORK, WATER, NONFAT DRY MILK, MODIFIED FOOD STARCH, DICED SWEET PICKLES (CONTAINS CUCUMBER, SUGAR, WATER, SALT, VINEGAR, ALUM, NATURAL AND ARTIFICIAL FLAVORS, TURMERIC, BENZOATE OF SODA ADDED), SWEET RED PEPPERS, CORN SYRUP, SALT, CONTAINS 2% OR LESS OF BEEF, AUTOLYZED YEAST EXTRACT, DEXTROSE, FLAVORINGS, POTASSIUM LACTATE, SODIUM DIACETATE, SODIUM LACTATE, SODIUM NITRITE, SODIUM PHOSPHATES, VITAMIN C (ASCORBIC ACID). CONTAINS: MILK.